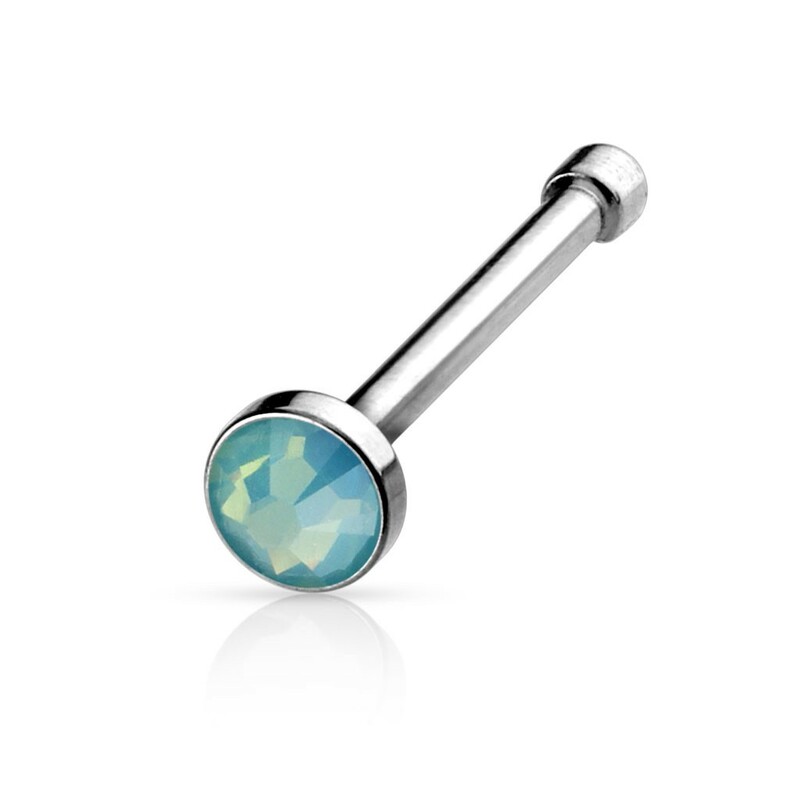 An easy to place nose piercing with a small Opalite stone. 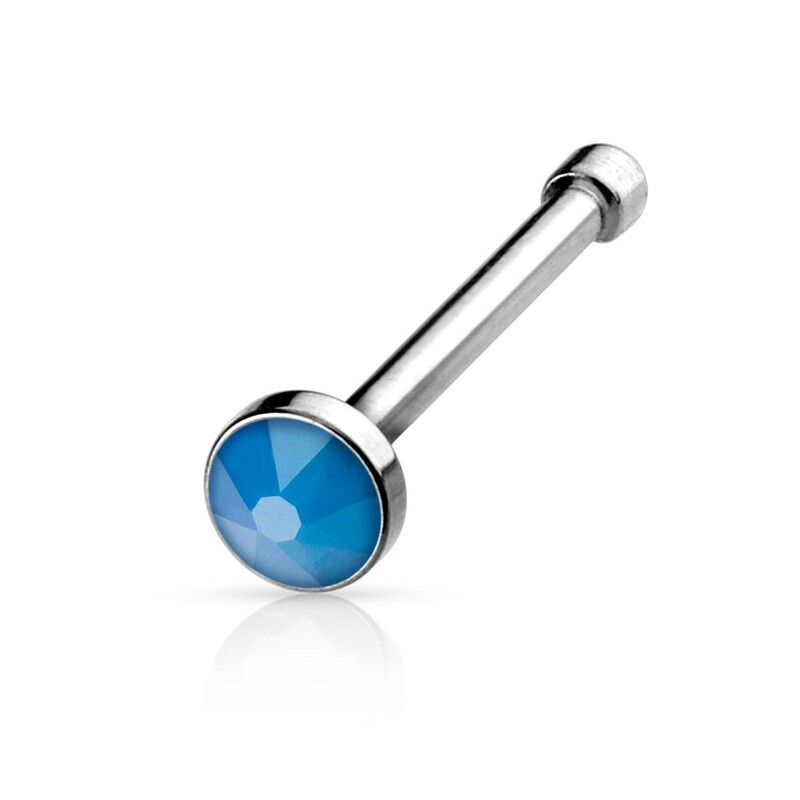 The stone is 2 mm in size. 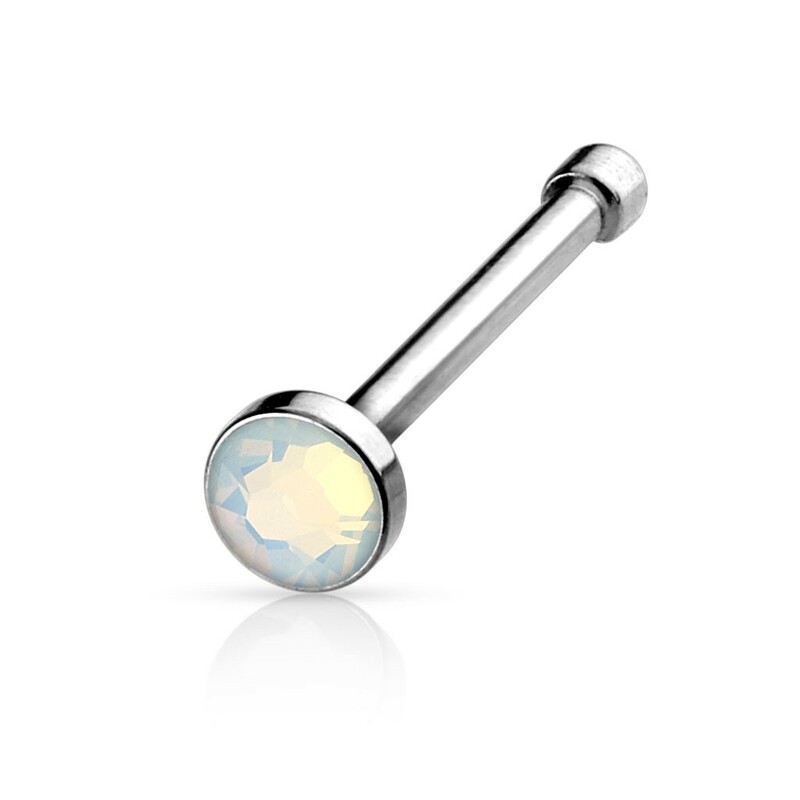 Opalite stones are known for their crisp structure and is available in different bright colours.